Injured in an accident and need a vehicle? We'll get you driving again! Experiencing a major accident or injury can be life changing. Unfortunately, household and workplace accidents are common in BC. Adapting to life after an accident can be difficult, and that can been even harder when you don't have a dependable vehicle to get around. Whether you're going to a medical appointment or simply to the grocery store, you'll have a lot more freedom with a quality used vehicle from Elite Auto Centre. We can help make that happen. Loans for people on disability are a reality with Elite Auto Centre. One of the key factors when securing an auto is whether or not the individual has steady monthly income. 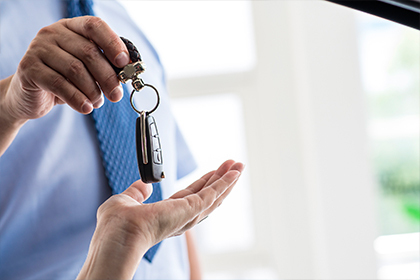 If you are on Long Term Disability (LTD) and receiving money each month from the federal or provincial government or another source, we can likely get you financing for a quality used vehicle. Buying a car while on disability allowance may seem far fetched, but you're not alone. With 1 in 7 Canadians suffering from some sort of disability, you're not alone in the struggle to get auto financing when on LTD. We're here to help. Contact Elite Auto Centre's credit specialist Rachelle at 1 (888) 625-6547 and discover how easy it is to secure an auto loan.